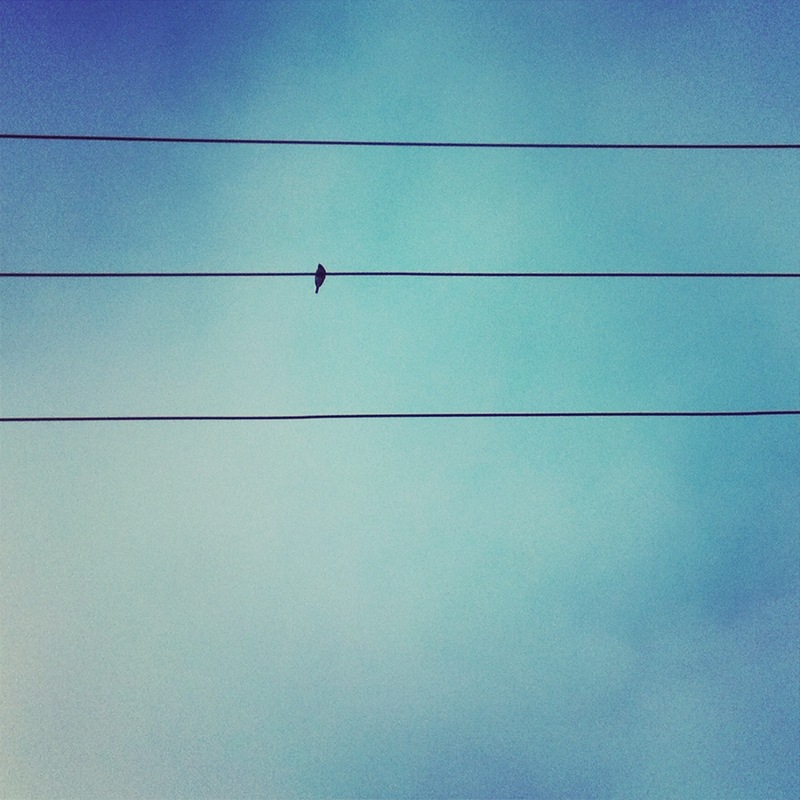 30. bird on a wire. I’m meeting friends after work today, and will be getting home kind of late, so I snapped this photo this morning on my way to work. Happy Monday! It’s going to be 50 degrees today!! 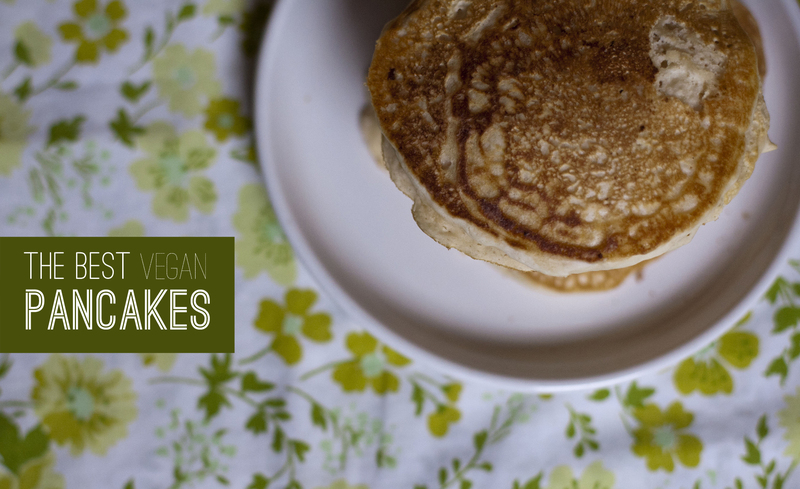 One of the things I can not make to save my life is vegan pancakes. I hate making them. HATE IT. Ask me to make pancakes, and Ill usually do it because I like to cook food for people, but I end up in the worst mood afterwards because they NEVER turn out right. They always turn out rubbery and gummy. I watched my friend emily make pancakes one morning and she shared some tips with me and made it look pretty easy – and that gave me some hope. Then I made them myself a few weeks later and they still came out gummy and gross. I saw a photo of these pancakes somewhere on the internet and have been waiting for the opportunity to give making pancakes another try. I went for this recipe because in the photo, the pancakes LOOKED like pancakes should be, and they directly address pancakes being fluffy, not gummy. They claim that almond milk works better than soymilk, and of course overmixing leads to gummy pancakes. So I gave it a whirl this morning and to my surprise, I WILL be making pancakes again. These were amazing and just like pancakes should taste! I find that pancakes cook best on a heavy cast iron skillet. Thin metal skillets just don’t absorb heat very well and you may wind up with a scorched pancake that isn’t done in the middle. In any case, place the skillet on the stove, spray it with a bit of canola oil and turn it on high for a minute or two to get it heated. Turn it down to medium-low heat and pour 1/3 cup of the batter onto the skillet. After a few minutes take a peek at the bottom of the pancake to make sure it’s not burning. I like to see bubbles come to the top surface of the pancake before I flip it over, which means it’s almost cooked in the middle. Then flip and cook until golden brown on the other side. It’s important to not stir the pancake batter again. So when you dip batter out to make your next pancake, don’t stir it around. 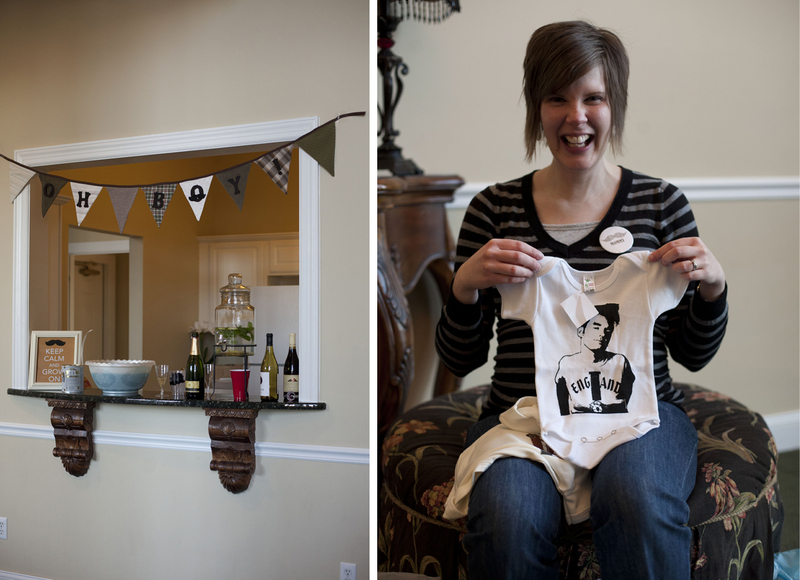 28. horchata cupcakes & a baby shower! 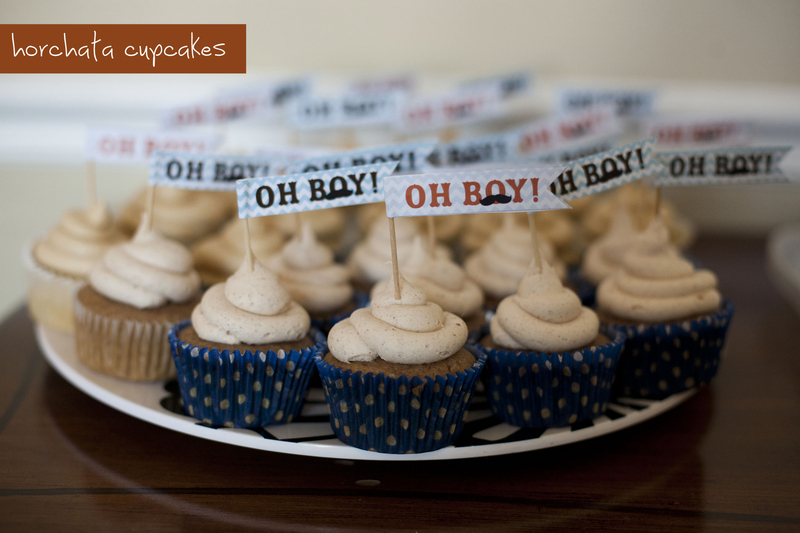 My friend Mandy requested my cupcakes for her baby shower today….One of her favorites are my horchata cupcakes. I basically just modified my go-to vanilla cupcake recipe a while back, after trying an horchata cupcake at swim cafe. These definitely are a crowd pleaser; vegans and non vegans seem to love them! 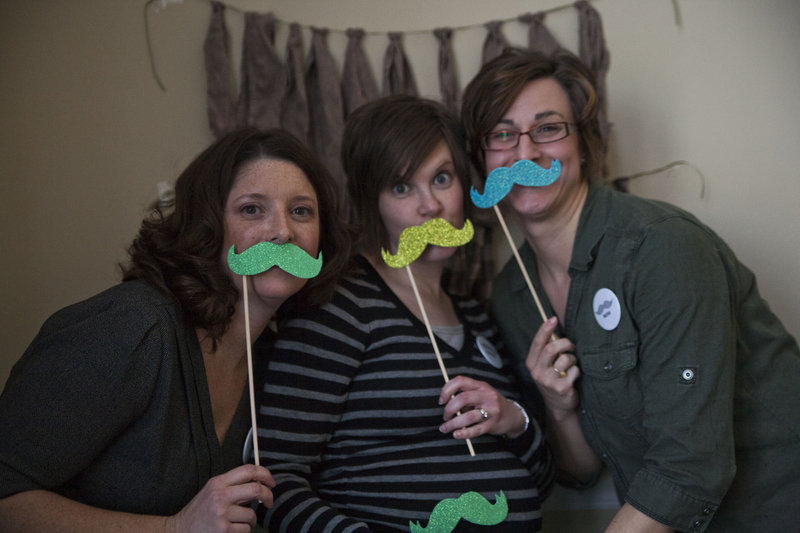 They were definitely a hit at today’s baby shower…. Preheat oven to 350 degrees and prepare your cupcake liners. Whisk the horchata with the vinegar and set aside for a few minutes. Beat together the horchata, oil, sugar, vanilla in a large bowl. Sift in the flour, cornstarch, baking soda, baking powder, salt and cinnamon. Don’t overmix, but mix to make sure there are no lumps. Pour into liners and bake 20-22 minutes. With a mixer, beat together the earth balance and cream cheese. Add the vanilla and powdered sugar and cinnamon and beat on high until light and fluffy. 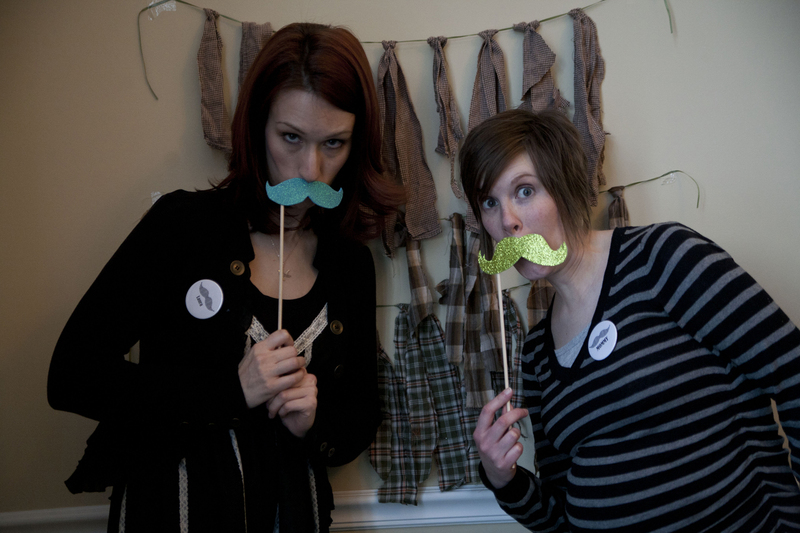 And now here are some scenes from today’s baby shower. 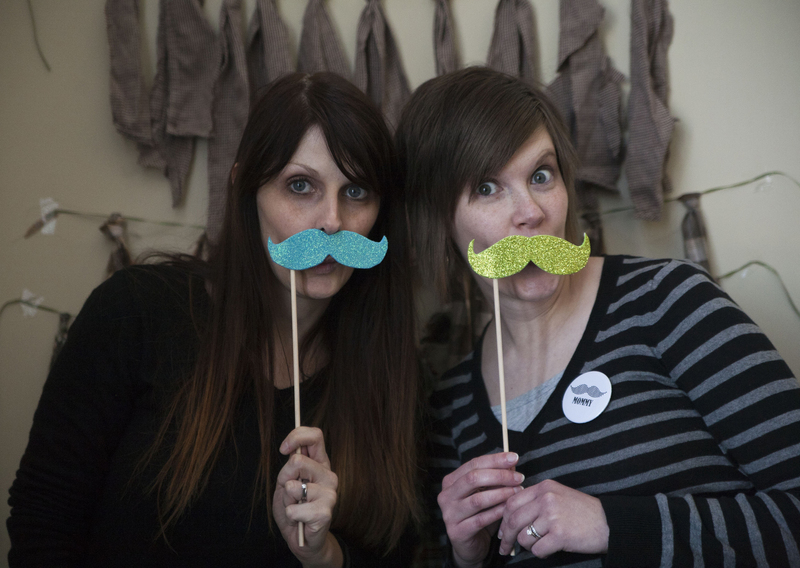 We kept the theme (moustaches!) a surprise, and she loved it. 27. bath bombs and body scrub. My friend krissy had a wine, cheese and spa night at her place tonight. 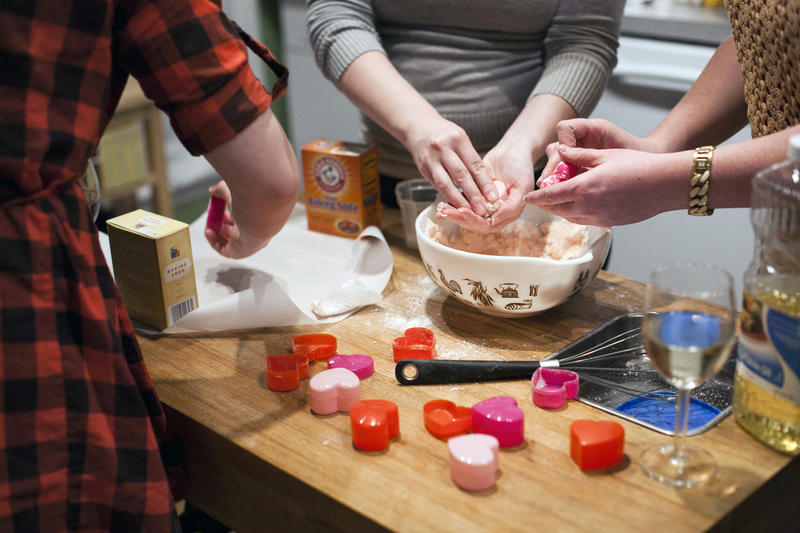 A bunch of us girls sat around and got caught up with eachother, ate treats and made fun bath treats. The pumpkin donut holes I posted about yesterday were a huge success! Wisk in the wet ingredients into the dry. 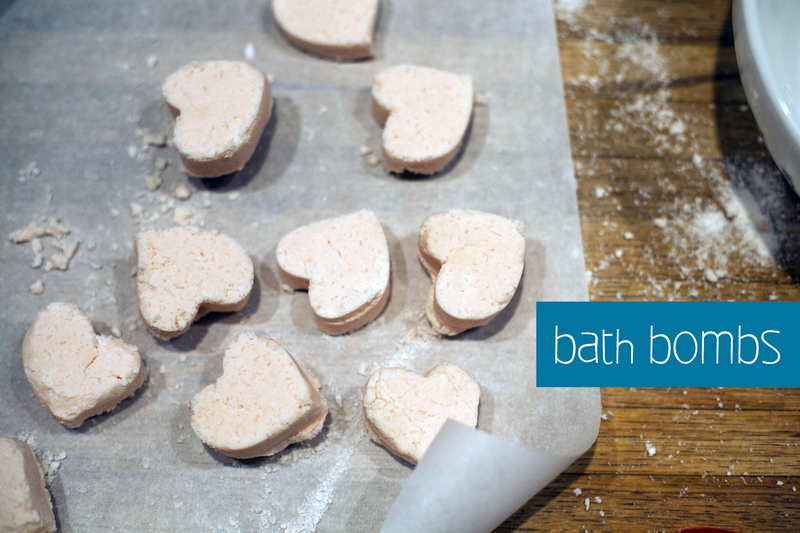 Shape into a ball or mold (we used little hearts) and put on parchment paper to dry. They were dry and ready to take home by the end of the night. 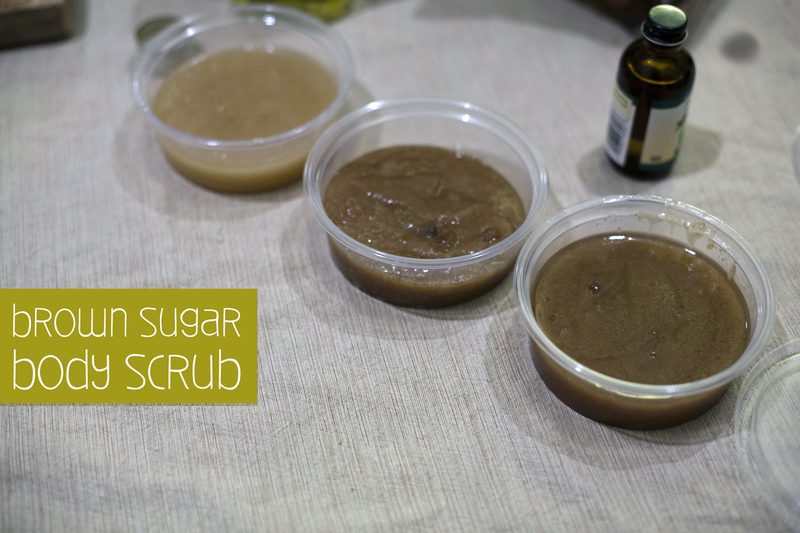 next up: brown sugar body scrub. Stir it together with a wisk until its nice and gritty. I’m going to a little party tomorrow night so I scoured my pinterest boards and found these donut holes that looked good and seemed easy to veganize. Also they were baked, not fried; I don’t feel like dealing with deep frying things at home. Seems like a mess. So milo and I tried them out. 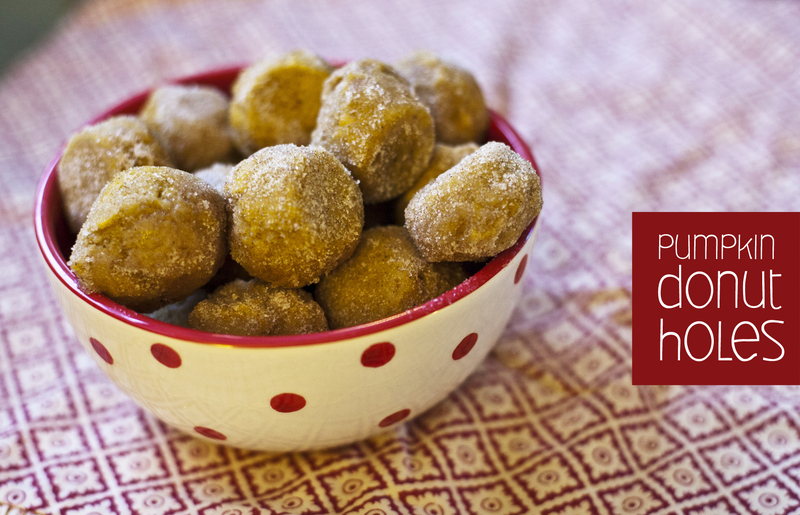 While they are very good, I don’t think they aren’t quite a donut hole – but more like a baked yummy round ball of pumpkin goodness covered in cinnamon and sugar. Call it what you want. They definitely taste good. In a medium bowl, whisk together flour, baking powder, salt and spices (through cloves). In a separate, large bowl whisk together oil, brown sugar, egg, vanilla, pumpkin and milk until smooth. 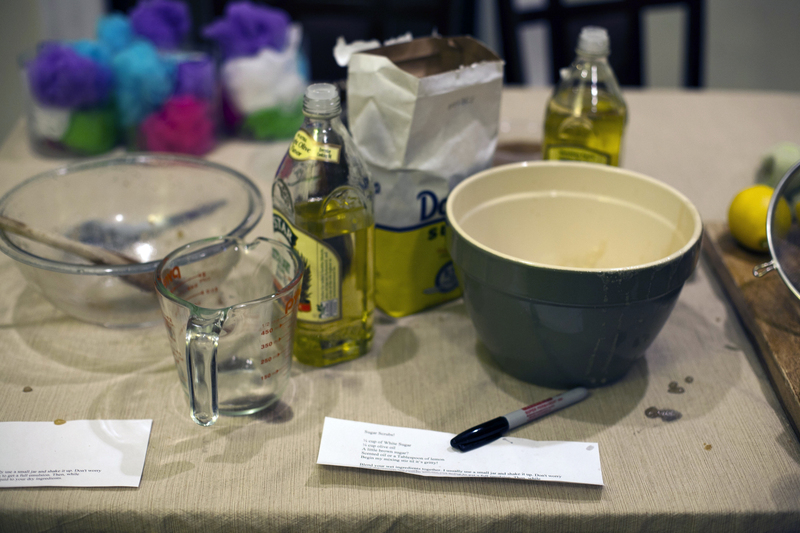 Add dry ingredients to wet ingredients and mix until just combined – do not over mix! While the muffins bake, melt butter in one bowl and combine granulated sugar and cinnamon in another bowl. Remove muffins from oven and cool for 2 minutes, or until just cool enough to handle. Dip each muffin in melted butter, then roll in cinnamon sugar to coat. So making something doesn’t have to always be hard or labor intensive. 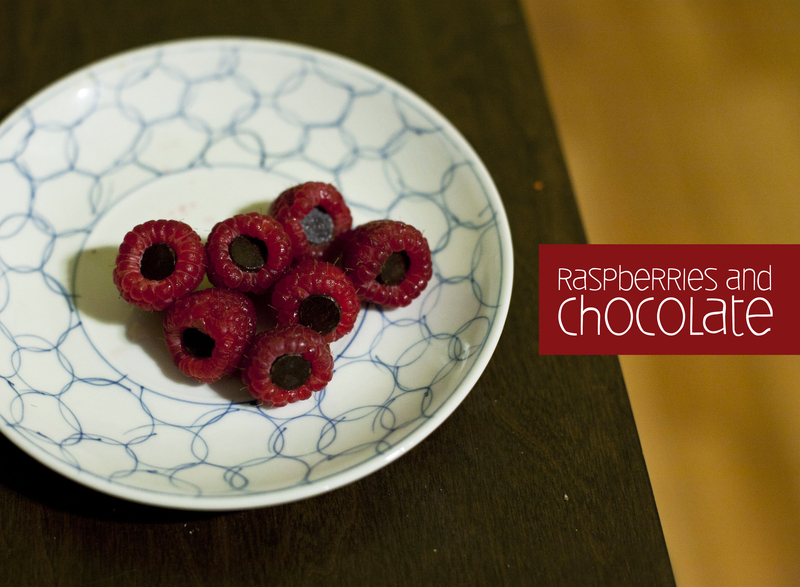 Tonight, for dessert, I stuck some chocolate chips in some fresh raspberries and called it a night. So simple and yummy. This was a big hit with milo! Tonight I made another version of tortilla soup. Last time I used the crock pot; Tonight I used the vitamix! Basically I threw 5 roma tomatoes, 2 cloves of garlic, half a green bell pepper, chunk of onion, a carrot, half an avocado, 1 tspn of taco seasoning, some black pepper, 1 soft corn tortilla, a vegetable bullion cube and 3 cups hot water into the vitamix. I blended it for about 6 minutes, until I saw steam coming from the top. 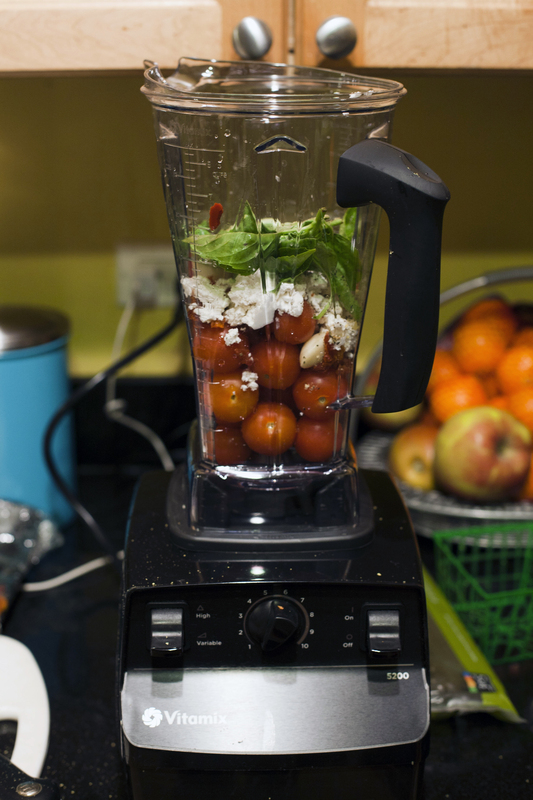 Yes, my friends, the vitamix COOKS THE SOUP AS IT BLENDS IT. …and there you have it. 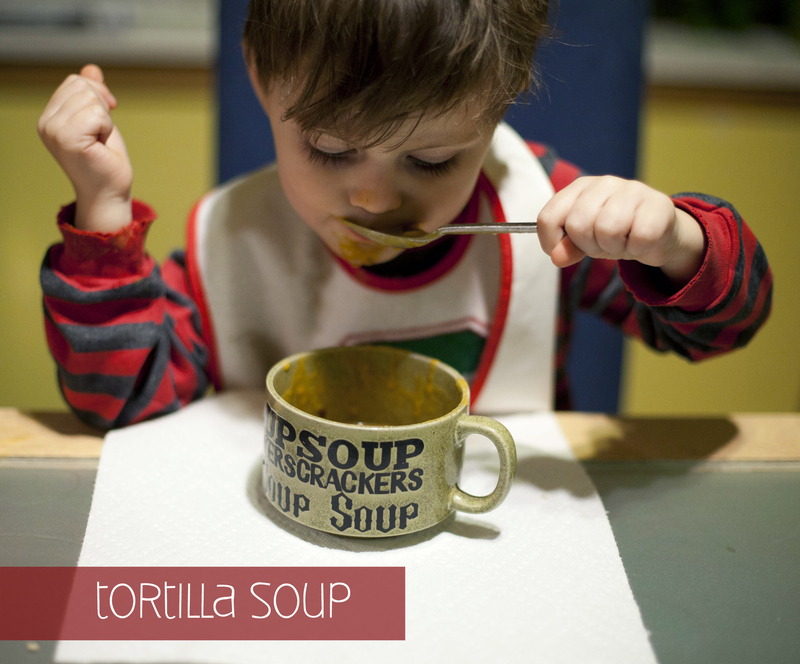 Fresh, hot soup in under 10 minutes! After contemplating one forever, yesterday I finally bit the bullet and bought myself a vitamix. I sat at work today daydreaming of all the things I want to do with it. Tonight I got to give it a try, and I made some fresh pasta sauce. Dinner came together in no time. While my pasta was boiling, I threw a container of cherry tomatoes, handful of basil, 4 cloves of garlic, 3 Tablespoons tomato paste, 2 Tablespoons vegan cream cheese, 1/2 a small onion, salt, pepper, dried oregano and some nutritional yeast in my vitamix. I blended it up and warmed it up in a saucepan. By the time my noodles were done boiling, my sauce was warmed through. A fresh, healthy dinner in only 15 minutes! I love you vitamix. 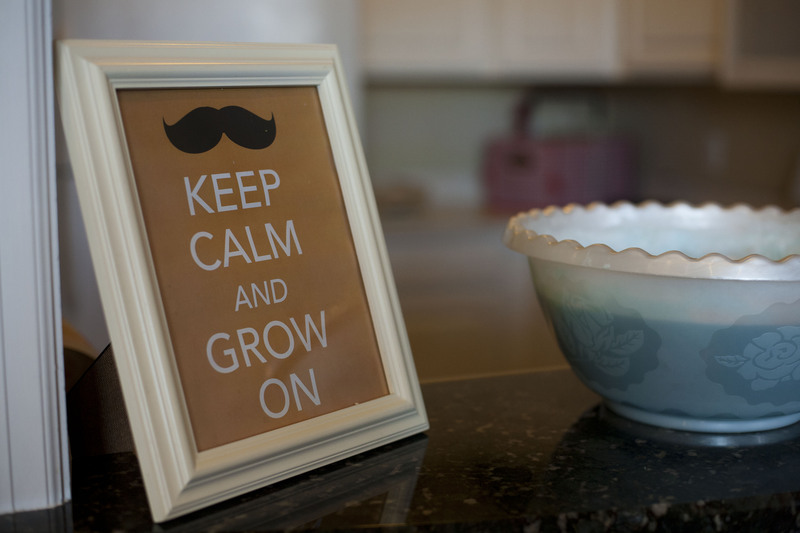 Homeade play doh is super easy to make…who knew? You probably have everything you need for it on hand already. I did! Pour all ingredient in the sauce pan. Stir until everything is mixed well. Once the mixture is (mostly) clump free. Heat over MEDIUM heat. Stir. Don’t stop stirring. After a few minutes it will start to clump up. Stir, Stir Stir.Just keep stirring until the Play Dough is formed. It will form one big clump. Remove from heat, and knead by hand. 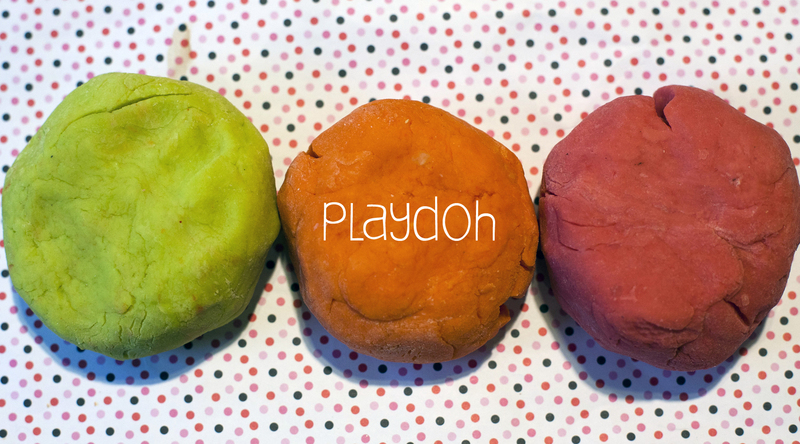 Playdoh is ready to play with when its cool. 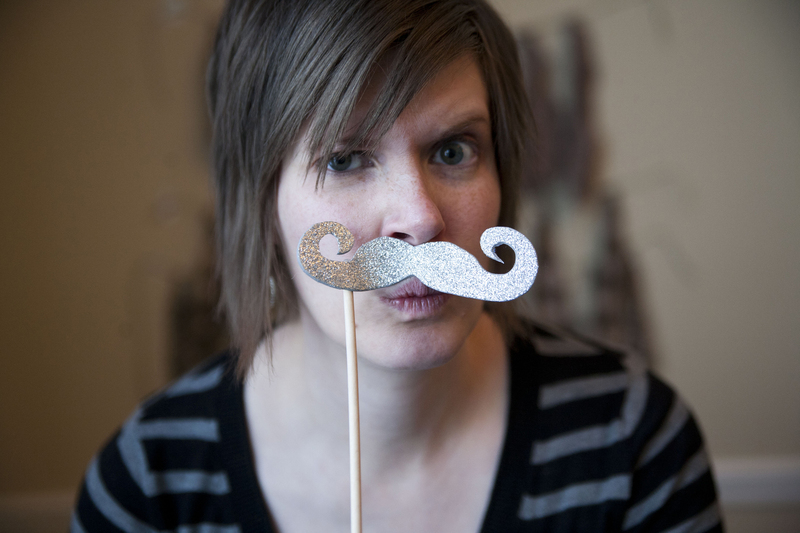 One of my favorite blogs is shutterbean. Tracy is a mom of a toddler about milo’s age, has great taste and cooks beautiful food. 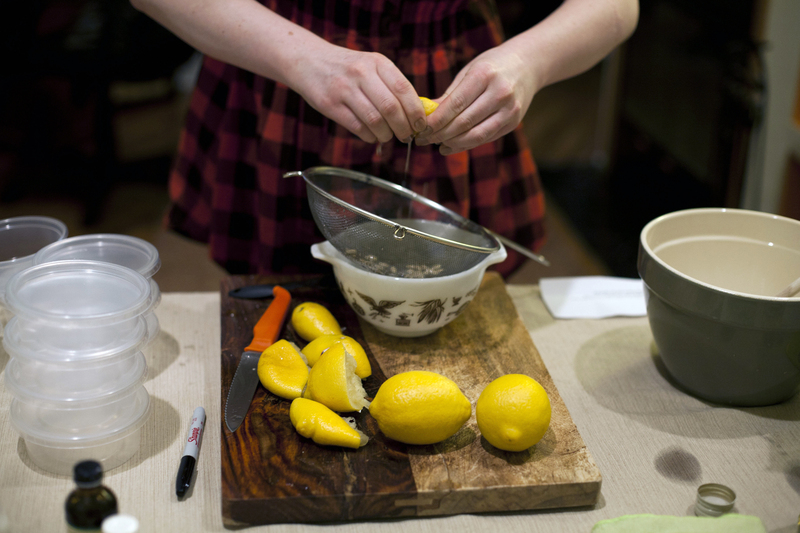 Although she isn’t vegan, many of her recipes are, or are easily adaptable. I’m not too much of a breakfast person, but my family is, and I love to make waffles on the weekend. They are so much better than the rock-hard frozen ones, and make a good amount, so they last throughout the week, or are really easy to freeze. I personally like to throw them in the toaster oven, get them nice and crispy and then eat them as is, as a snack later in the day. 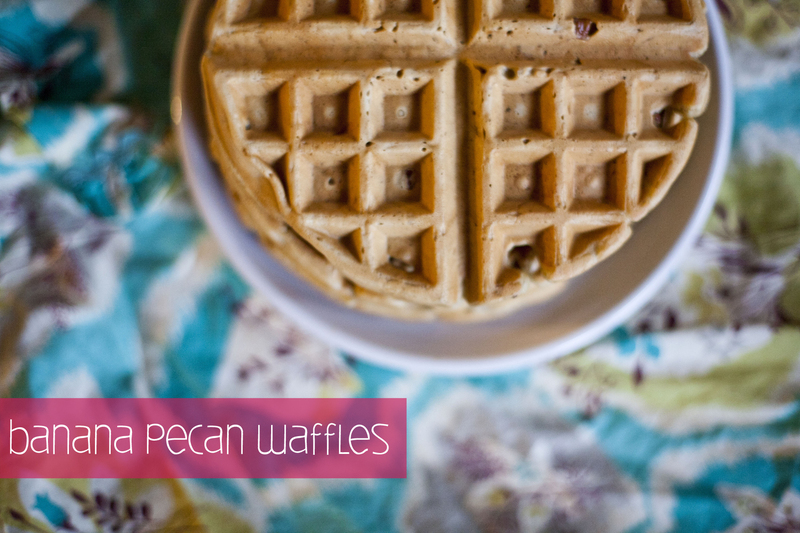 Here’s shutterbean’s version of banana nut waffles. I added pecans instead of walnuts because that’s what I had. Pre-heat the waffle iron. Pour the soy milk, water, and vinegar into a measuring cup and set aside to curdle. Mash the bananas very well in a large mixing bowl. Add the soy milk mixture, oil, syrup, vanilla, and stir. Add the flour, baking powder, baking soda, salt, and cinnamon. Use a fork to combine, but do not overmix. Fold in the chopped nuts. Spray the cooking spray on the waffle iron and scoop about 1/3 cup batter into the waffle iron to cook. Cook according to waffle iron’s instructions and serve with sliced bananas and plenty of maple syrup.